Home #LOL Bounce Back’ – Why did Apple feature this game!? Bounce Back’ – Why did Apple feature this game!? Bounce Back’ (by Appsolute Games and DeadCool) is a game that resembles a much older game from DeadCool called REBOUND. We reviewed REBOUND way back in July of 2016 which is why we found it super weird that (1) Bounce Back’ actually looks worse than REBOUND – DeadCool was way ahead of the competition when it came to design, and (2) why was a game that looks and feels worse than a game from 2016 featured by Apple in 2018!? Although we don’t have answers to our second question, I think we may be able to answer our first one. REBOUND and Bounce Back’ are essentially the same game. 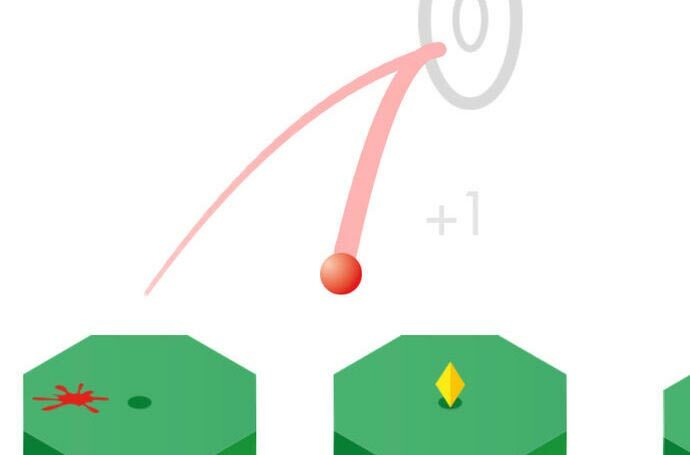 Played by touching on the screen of your device in order to place a block directly in front of your bouncing player, your mission in this game is to skillfully tap at just the right timing to rebound your player onto a floating platform – and the process repeats. When REBOUND was released 2 years ago, minimalistic games where your only real goal was to unlock new skins and achieve a higher score were all the rage. But then Voodoo stepped in and everything changed. The new trend we are seeing pretty much everywhere now are simplistic 3D games which feature both levels and an overall high score (take helix jump for instance) that allow players to either aim for a high score, a high level, or even both at once!